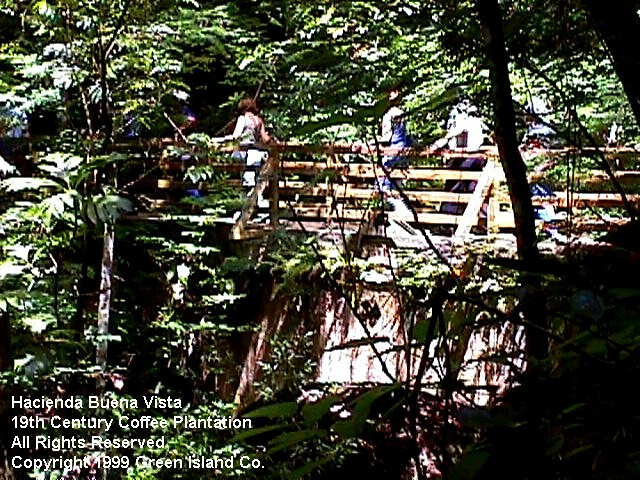 Buena Vista Plantation was restored by the "Fideicomiso de Conservación", a non-profit private organization dedicated to preserving natural reserves, historical structures and areas that are related to Puerto Rico's cultural past. 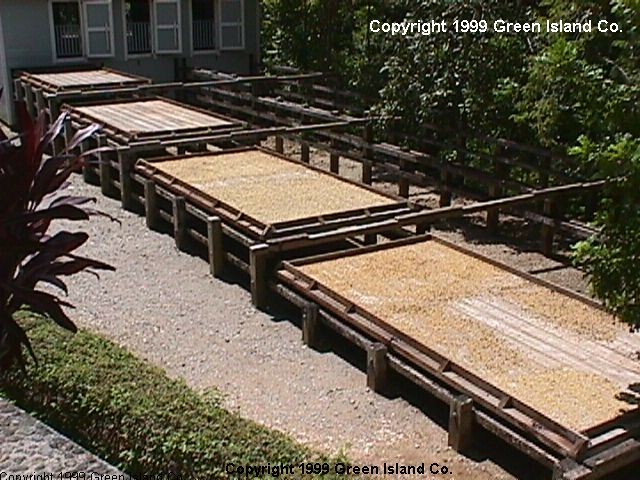 The building above was used to protect the coffee beans from rain, and evening & morning dew, during the 7 to 10 day drying period. The upper portion of this structure also served as housing for slaves used in the coffee plantation in the early 19th century. This hacienda was the first to establish a farm to grow food and products to feed African and Puerto Rican slaves. It emphasized the importance of a proper nutrition and opened the door to influence local humanitarian efforts that abolished slavery, in the then Spanish ruled Puerto Rico. The coffee cherries are hand picked leaving the green coffee cherries for another day's harvest. Coffee cherry harvesting may extend 3 to 4 months and from August to January depending on location and elevation in Puerto Rico. The higher the elevation, the more extended into the year, will be the coffee harvest. Limani, Collor, Caturra, Bourbon and Porto Rico are several types of Arabica bean grown in Puerto Rico, with Puerto Rico Arabica a locally developed hybrid being the most treasured. The high elevation coffees grown in the western part of the island are Porto Rico, Bourbon and some Caturra. Porto Rico Arabica is still the most favored by local coffee connoisseurs. Ripe Arabica coffee cherries, ready for harvesting . Only the ripe cherries are picked, to obtain the best coffee. The high yielding sun grown variety like "Robusta" is not prized as the Arabica bean or does it result in the same smooth flavor and sweet aroma. 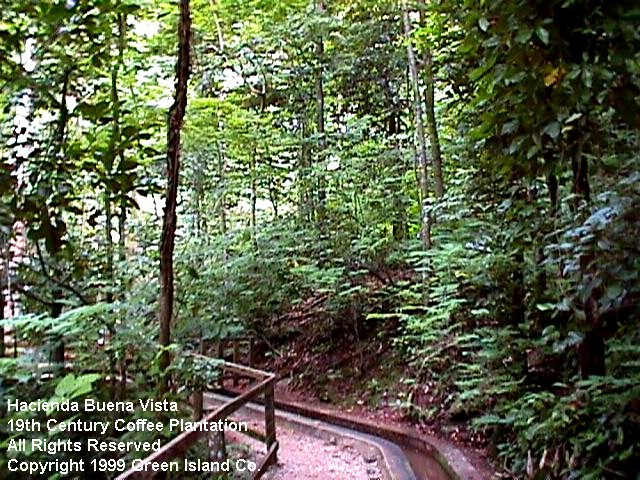 Arabica Bean Coffee trees thrive under the rain forest canopy. 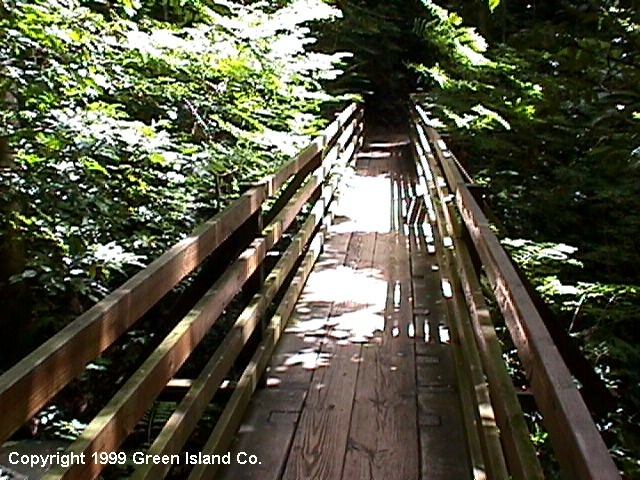 The tall trees are home to the many and abundant species of local songbirds and other fauna. Plantation trail with coffee trees under the rain forest canopy. Cascade on river that feeds the water mill used to run the pulper and coffee pergamino remover. The water is tapped at the top, thus gravity sets mechanisms in motion. 100% Puerto Rican Coffee Catalog Another view of the beautiful and unique rainforest cascade. 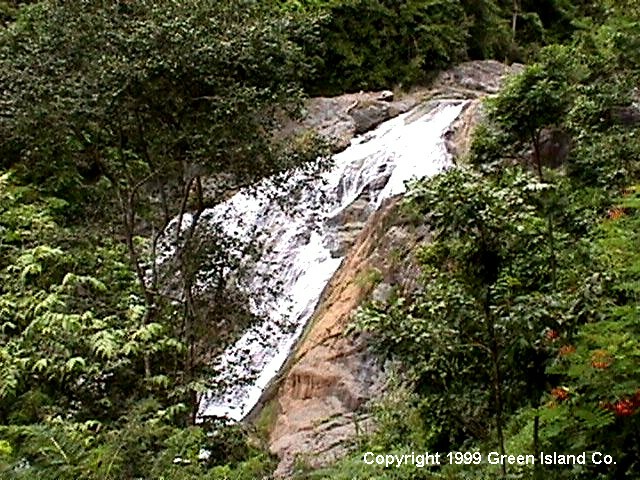 The falls was the favorite spot of the family that owned and operated the coffee and produce hacienda. One of the many exotic wildflowers that grows in abundance within the rain forest among the many coffee trees. The trough is cleaned weekly to remove leaves and sediments from the river through small openings large enough for a child or a very small person . 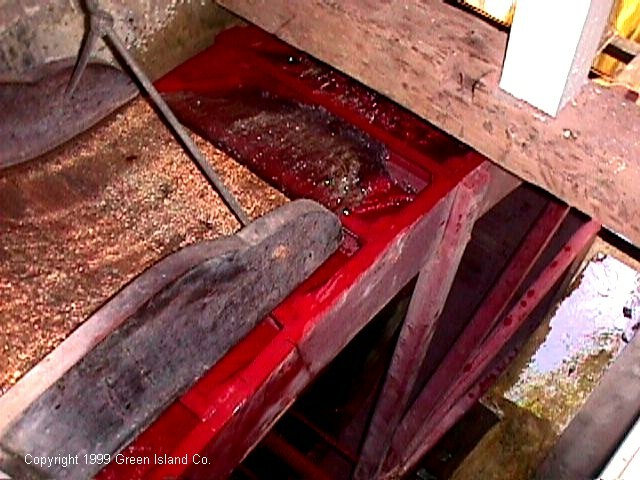 The skins and pulp are removed from the coffee berries, with this water operated device, then fermented in water for 24 hours to remove organic gel like substance called mucilago (which augments acidic taste) from the raw beans and then washed, so that the beans can be laid in trays to sun dry for 7 to 10 days. 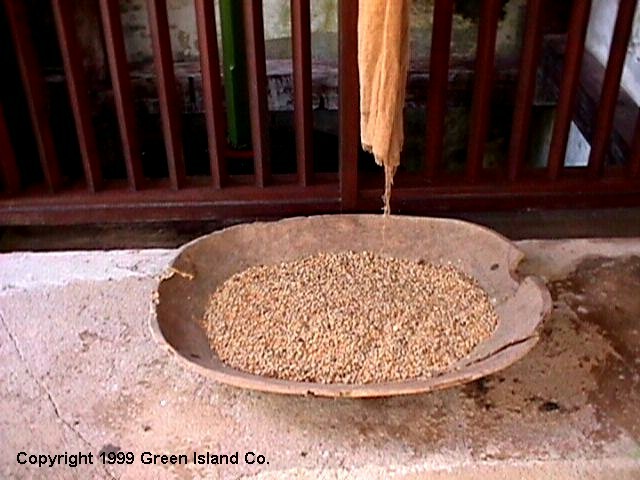 The raw beans soak in a shaded water trap for 24 hours. The gel like mucilago decomposes, the hollow beans flow over the top and the decomposed mucilago flows though a mesh leaving a clean and wholesome coffee bean in the trap from where it is collected. The mill is powered by a water turbine that operates the pulper, pergamino de-huller & corn milling machines. 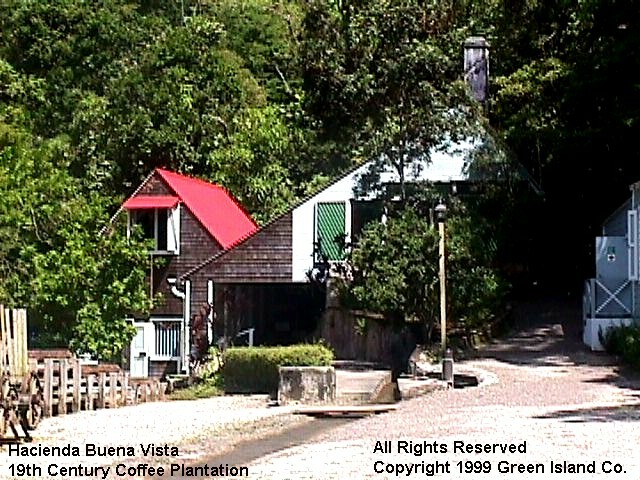 The structure at left also houses 5 water machines, extremely important to the plantation. A corn Toaster is also housed within this structure. This device, called a "Tahona"is powered by the turbine to remove the pergamino bean's outer hull or shell, after they are dried, and to prepare the coffee for roasting. 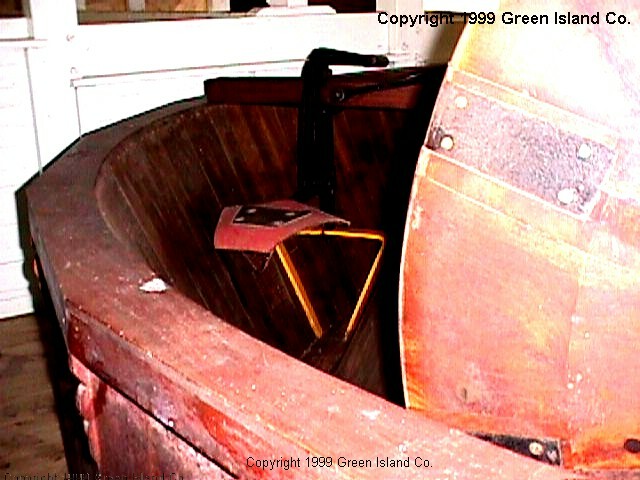 Parts of the original tools and equipment used in the hacienda, are exhibited in a museum on the first floor of the plantation owner's former home. These stencils were used to identify the classified green coffee beans stored in large burlap bags for export to Europe. 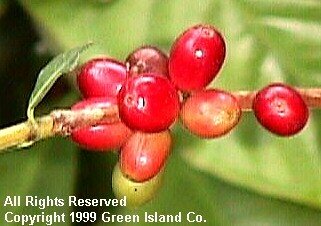 The large red star was used to identify the best premium and gourmet green coffee beans. This was the primary residence of the earliest owner of Hacienda Buena Vista and his family. The lower level of the main house also served as storage shed for crop harvested in the hacienda. 100% Puerto Rican Coffee Catalog The kitchen within the house. Notice the firewood stove and chimney in the rear wall. A stone water filter was used to remove debris and bacteria. 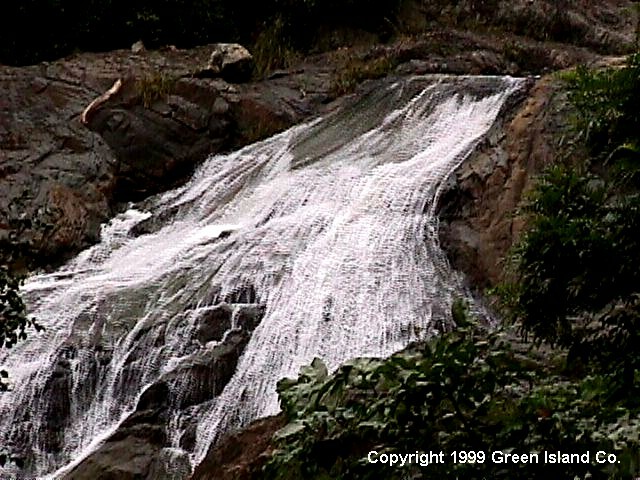 This cascade at the end of the trough, downstream of the mill was made by the hacienda owner to clean and aerate the coffee pulper process water being returned to the river on the hacienda and plantation. 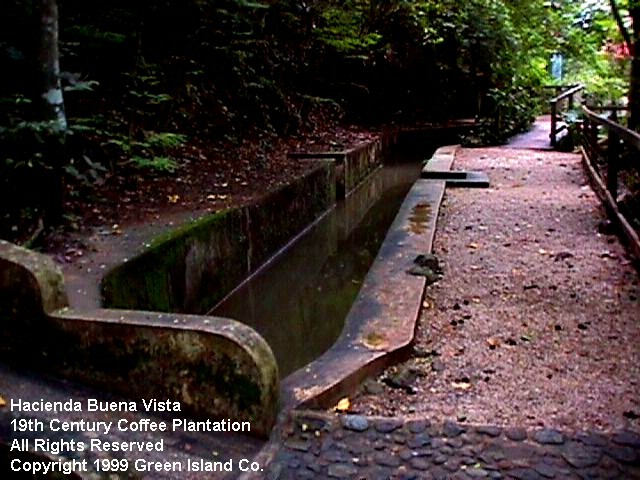 Some of the methods used in this 19th century plantation are now referred to within the some concepts of sustainable methods It is a crude but very effective conservation effort to protect the river, aquatic life & environment and formed part of the strict requirements enforced by the local Puerto Rican authorities in order to allow the use of the river in the processing of coffee.